THIS WEEK ON #ADMP: We escaped to a quick city-break on the Facebook continent somewhere between Bosnia-Herzegovina and Harvard University (USA); We wanted to get closer to Searchkey, the Searchkey team, and mostly Aida Mandic, the ‘powerhouse’ behind the project ! AIDA MANDIC: Hiya! 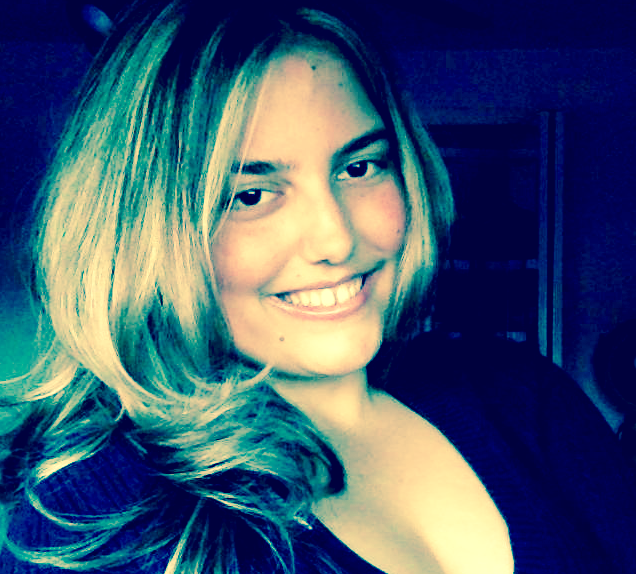 My name is Aida Mandic and I’m an entrepreneur, author, poet, coach, consultant, songwriter, inventor, and investor. 2.#ADMP AWARDS: #WoW! Multi-talented! Author? Poet? → We do have a bias on this blog for cryptoarts and flowetry, so can you drop us a line please? 4. #ADMPAWARDS: #DANG!! #DropTheBomB!! We are now glad we asked…we’ll ask again, for the end of that poem at the bottom of this interview! AM: OK at the end…can we go back to..?? 5.#ADMPAWARDS (Still bedazzled): Yeah…sure!… Let’s go back to our notes → What is ‘Searchkey’ ?? AM: Searchkey is an education technology platform and scholarship database that offers over $500 millions in funds for students, so they can make their financial and educational dreams, a reality by graduating debt-free. 6.#ADMPAWARDS: You’ve put your finger on a nerve: Student debt has been rumored to either explode or to be close to filling for bankruptcy in many parts of the globe, the US included! If you can help alleviate that burden on millions of students, you could become the new…the new… ‘Lady of the Blockchain’? ADMPers are curious to know how it all started, though..what’s your origin story, please?? AM: I got involved in blockchain when I was growing up. I was a very serious kid. Very ambitious for my age. I was probably 12 or 13 when I got more into reading about the blockchain. I used to be obsessed with finding books that were really ancient and that no one read anymore. Ancient and undiscovered civilizations fascinated me. AM: I wanted to understand how people thought and why things worked the way that they do. I bought my first bitcoin in 2011 or 2012. Not quite sure. But I thought that bitcoin was smart, cool, and relevant, so why not do it, right? Who are your TOP5 Artists of all time? Bob Dylan, Jim Morrison, and Leonard Cohen ! Searchkey is struggling with marketing and promoting on platforms such as Facebook, Snapchat, LinkedIn, Instagram, Twitter, radio, TV, etc. If we received proper funding, then we would use it to reach students across the United States so that user engagement could be high as well as promote our website to schools. Your funding would mean the world to us because it would mean that students could graduate from college, DEBT-FREE ! 9. #ADMP AWARDS: Check the ‘Twote’ (Twitter + Quote) on the right of this text. –> A few weeks ago, ADMPer and community manager ‘Super-PAM’ Youbong found her ‘Business-match’, VITOMO a boutique-traveling plateform in Cameroon, after posting on ADMP Blog. So … who knows what could happen if you did the same?? → Seriously, we are read by funders and VCs around the globe, so who knows? …convinced? not? …anyhow… Let’s go back to your book, then..
AM: #interesting! – Let me talk about the book too: ‘A Candid Aim’ is a collection of poems and songs that chronicles my extraordinary life journey as a Bosnian genocide and war survivor and bullying survivor. → It wants to know your TOP5 Netflix ‘M.I.D: Most Immersive Dramas’? AM: You and your ‘bot’, are both…’lit’! Aha! I don’t watch Netflix though! #LoL! hahahaha, I’m serious. I’m more into YouTube, Lifetime, Disney flix, PBS, and Mary-Kate & Ashley movies. I’m nostalgic like that.. Lol! Pick the RIGHT answer, please? AM: None of the above! #Lol! Nah….Satoshi is female ! And don’t say I didn’t tell ya so, it is my favorite kinda news, the world needs more unique views, let’s have a woman become the next Howard Hughes! #ADMP: Aida Mandic, ADMP shall love you and leave you, with these kind words!